A Dodge House Collector's Plate . . . is now available in the gift store at the Gen. Dodge House. 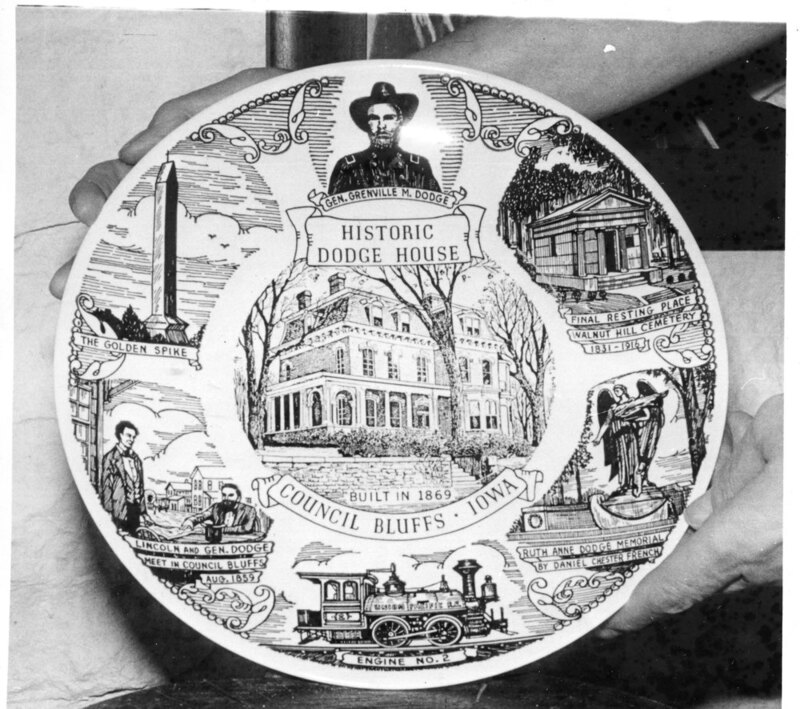 The plate features pictures relating to Gen. Dodge, his life and his work. Nonpareil photos, “New Plate Features Dodge,” Council Bluffs Public Library, accessed April 21, 2019, https://www.councilbluffslibrary.org/archive/items/show/5014.